I'm moving to a new blog called the Eldar Craftworld. 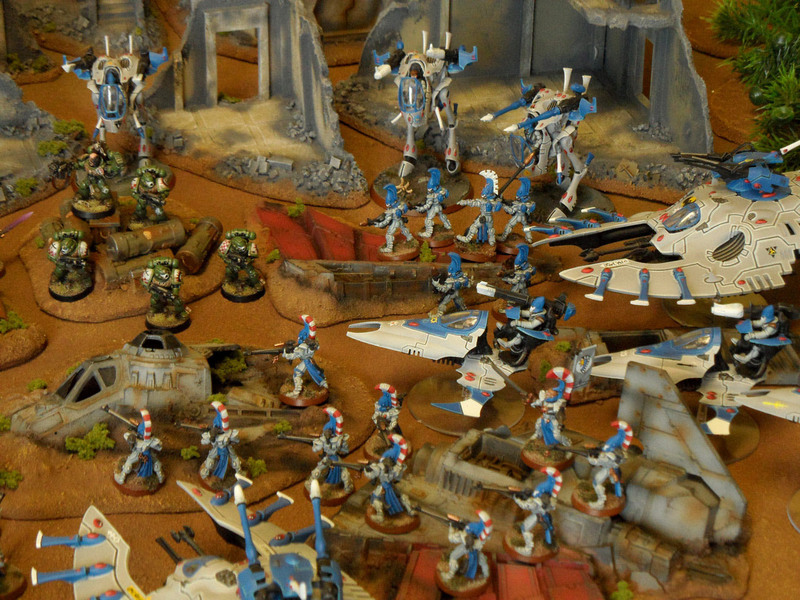 Simply put, it's an Eldar blog about building, painting and playing Eldar in Warhammer 40K. Plus there will be random appearances from my High Elf army, because they're essentially the same thing. Even Eldrad and Teclis have the same pose! So as much as I enjoy playing Tau, I've decided to invest heavily in a beautiful Eldar army. One of the greatest difficulties in playing this hobby is just choosing an army and sticking to it. Well, for a number of reasons, I have made my choice. Eldar just evoke a much stronger feeling for me in terms of painting them, playing them and their background. I also have a fondness for many of the old Eldar models. I found playing Tau just so incredibly frustrating sometimes and really envied the Eldar's firepower and mobility. After playing a few games I quickly realised that they offered me all the tactical versatility I always had with the Tau and so much more. So it is with a heavy heart that I must bid the Tau Empire farewell. As many of you know, I was also writing the Space Wolves blog for many years, which has a massive audience. But that audience could never compare to you guys who always commented on my articles here at Warhammer Tau. You made this tiny space of the web, often neglected, really feel like home. If anyone would like to take command of the Warhammer Tau blog to continue my work, please get in touch via My Google+ Page Thank you for all your kinds words and support over the years. And please come visit me at my new Eldar blog. 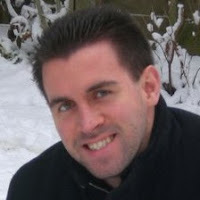 *SNIFF* *SNIFF* I have only seen your blog for a few months now, i have been raiding through all your old posts and they have been really helpful. I would like to take up your blog but for many reasons i cannot. (Mainly because i havent posted on mine in a bout a month! LOL) Good luck with your new blog i will definately add it to my blog roll. I just felt my heart break a little. Out of the 4 tau blots I frequent you were the last to hold out. You will be missed by the greater good. Can't say as I'm surprised, given the long delays in the updates. This was the first place I found when learning how to play Tau and I have to say I made decent use of it. Thanks for having it. There seems to be a general malaise among the Tau blogosphere these days. A brief flurry of activity when we realized 6th changed a lot in our favour, another after some excellent FAQ updates that went our way, then nothing. I think a lot of the online Tau community has either given up trying to understand the implications of everything in this new and strange edition. They are waiting until the lessons of what's new can truly be learned, of course, by then there might also be a new codex to learn as well. Another portion have just given up, finding the Tau too out of date to compete anymore, instead having moved on to other armies they think they can do better with. I admit I am close to this as well, a small but growing collection of space wolves giving me alternate options in game play. Anyway, best of luck to you and your Eldar, hopefully some Tau champion out there will find the inspiration to again get the Tau Blogosphere moving. I've been following this blog for as long as I can remember ! And it was a huge factor in me deciding to play Tau. Whilst my 40k days are behind me (for now!) 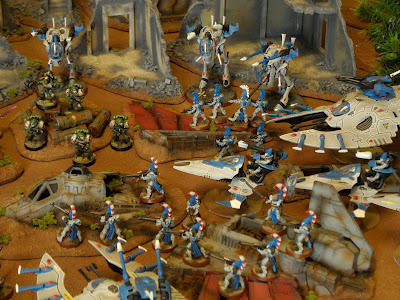 I still followed this blog religiously, and checked it frequently for updates, and whilst I'm sad to see it go, I wish you all the best with the Eldar ! I'm sure you'll do as well with them as you did with the understated but beautifully lethal Tau ! So again, I thank you for all the hours of brilliant reading you have provided us with, and I look forward to countless more with your new blog. The blog doesn't exist anymore apparently. Help? You seem to be correct. I will contact Adam and find out what is going on!